Published by the University of Nebraska Press and part of the Ted Kooser Contemporary Poetry series, “Regular Haunts” is a selection of Costanzo’s life’s work. It features nearly 30 new poems, half of which are introduced by epigraphs from mystery novels. The poems range in topic from life and in an exclusive arts and tourist community to a disliked boss who has fallen on hard times. Fifty previous pieces from Costanzo’s more than four-decade career round out the book. Called the “prophet of American consumer culture,” Costanzo, professor of English in the Dietrich College of Humanities and Social Sciences, writes in parables, fables and jokes—but with a serious undertone—of a culture where genuine emotion cannot be found yet its semblance can be endlessly marketed. In the introduction, Kooser, who served as the poet laureate to the Library of Congress, recalled how he has never been satisfied reading one of Costanzo’s poems just once. “There’s that delightful surface, sparkling with wit, with satire, with wordplay, and then there’s always that something else, that mystery maybe a fathom beneath the sun on the waves,” Kooser wrote. Costanzo pushed himself out of his comfort zone in several of the new pieces. The CMU students he has taught poetry to since 1970 are sure to notice that in the title poem, “Regular Haunts,” rhymes. “I disliked rhyming poetry but had assigned my students to rhyme over the years. I wondered if I could rhyme and maintain my tone,” Costanzo said. Costanzo is the author of eight previous collections of poems and has edited six anthologies of poetry. He has received numerous writing awards and fellowships, including the Devins Award for Poetry, two Pushcart Prizes and two creative writing fellowships from the National Endowment for the Arts. In 1972, Costanzo founded Carnegie Mellon University Press as a publisher of poetry. The press, which he still directs, has since evolved into a highly regarded publisher of poetry, classic contemporaries, short fiction and regional social history. 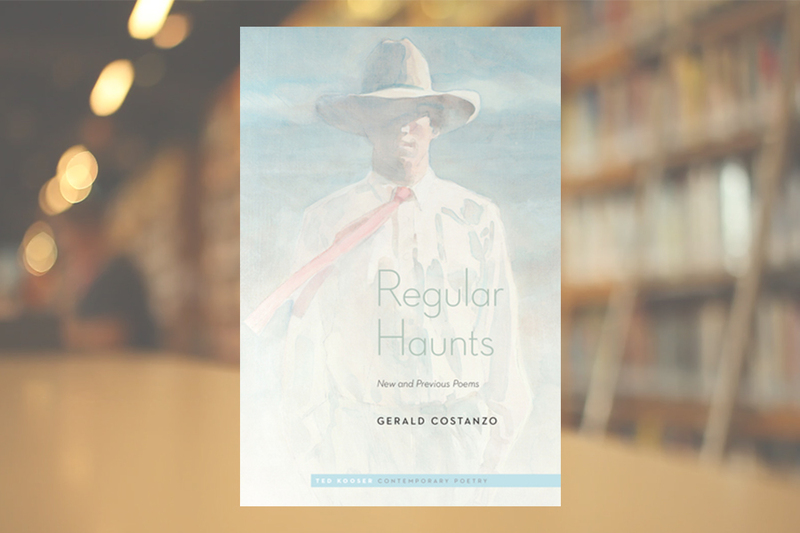 Costanzo will read from “Regular Haunts” on Tuesday, April 3 at 4:30 p.m. in Baker Hall’s Steinberg Auditorium on CMU’s campus.